Is it really Day 5? It’s hard to believe we’re five days into such a formative, impactful experience like an ASB trip. Here’s an update of what’s been going down in the Big Easy. Our group has been split into two sub-groups since Monday. 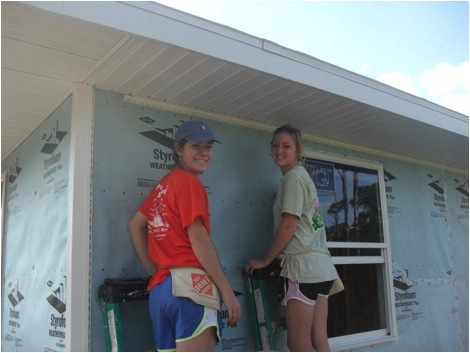 One group has been working in LaPlace/Reserve, LA. The home in which we’ve been working was damaged by eight inches of water. A woman, who just took a second job, has two boys, and was forced to move out of her house because everything that touched the ground was destroyed. It’s hard to imagine what I’d lose if anything that touched the floor had to be trashed. The damaged sheetrock has been replaced from waist-level down. This requires us to match the textured upper wall to the new sheetrock, which sounds easy – it’s not! We then have to mud and prime the point where the walls meet so that we can add a chair rail in the middle such that we can hide the seam. Our site supervisor, Adam, is grateful for our help because our work saved him two weeks of stuff he would have had to do by himself. The other group has been and will continue working at a house in Arabi, LA in the east New Orleans area. Our site supervisor, J.P., has been an interesting man from whom to learn. He knows so much about construction and shares great stories about his life experiences and his family in Ethiopia. At that site, we’re hanging doors, trimming doors and windows, mudding walls, cleaning up the yard, and painting the walls and ceilings. It’s tiresome work and we’re all much more sore than we were Monday morning. It’s worth it. Right now, we’re all adding each other on GroupMe, Instagram, Twitter, and Facebook. This is one of the few times you can be really social and everyone be on their phones in the same room. Make sure to follow our album on Facebook! Residents of New Orleans have been recovering from the devastating effects of hurricanes and storm damage again and again for years. Hurricane Katrina’s toll –seven years after landfall – can still be seen in the area surrounded our housing site, Camp Restore. Houses that were rebuilt following the damage now sit on foundations that allow water to drain. At the intersection, a home still bears a faded red “X” marking a property condemned. The wall bordering the church basketball court bears a clear blue line showing how high floodwaters rose. When we entered downtown New Orleans, it was easy to forget the events have damaged the town so many times. The Crescent City remains a vibrant area, now accentuated with the glow of Christmas lights in Jackson Square. We passed a gaggle of Santa and Misses Clauses along the way to Bubba Gump Shrimp. The tourist trap/Forrest Gump restaurant was an excellent place to watch the presentation of the Heisman memorial trophy and watch a screening of ESPN’s “You Don’t Know Bo”, about Auburn’s greatest athlete, Vincent “Bo” Jackson. Beignets from Café du Monde and a jaunt along the river were enough to make us all realize how tired final exams and the trek down from the Plains had left us. We retired to Camp Restore with our new friends from Mount Aloysius College and called it a night. Our “fun” day came early this trip: we spent our Sunday exploring New Orleans in the day time. After breakfast at Camp Restore we carpooled to the Aquarium of the Americas! Otters, jellies, penguins, stingrays, and sharks were an awe to get to see. The insectarium afterwards left some participants’ skin crawling, but we had fun all the same. Lunch at Riverwalk gave us the chance to listen to Santa and his merry elves greeting guests and playing Christmas music. Our trip advisor Caleb was a magician’s lovely assistant in Jackson Square. We also toured the local zoo and got up-close-and-personal with some frisky giraffes. 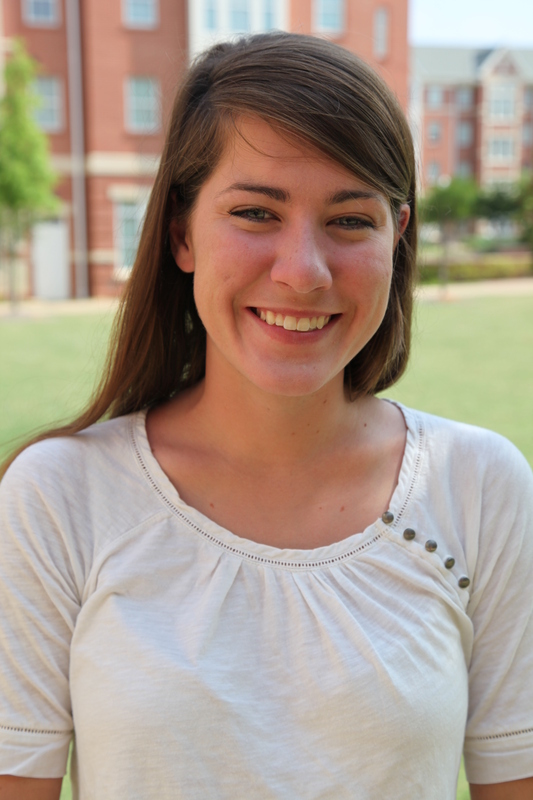 Each week, we plan to spotlight one of our awesome leaders and this week it is Malia’s turn! When my freshmen year was over, I knew I did not want my involvement in ASB to end. I applied to be a site leader and I was so excited when I got my congratulations email. Brainstorming for my trip began immediately. I knew from the beginning that I wanted to do light construction work on my trip. At first I looked at going to a few different places, but I have always had a special place in my heart for New Orleans. Most of family lives on the Gulf Coast and when Hurricane Katrina hit our lives, we were shaken. Multiple family members and friends lost their homes that day. As a family, we were blessed to be able to rebuild but there are still many people less fortunate that us that have been out of their homes for years. It is not fair. This is a tangible chance to help those that have not been able to enjoy the comfort of their own space in years. I have been to New Orleans twice before to help with hurricane relief but this is my first time going with Auburn. I am looking forward to meeting the participants on my trip and watching them fall in love with ASB and community service. I really hope that we get the chance to meet the homeowners because that can make just as much as an impact on us as our work will on them. I found out about ASB from my sorority freshman year. I wanted to get involved on campus and community service seemed like a good fit. I did not really know what it was until I started filling out my application. When I read the descriptions for the trip I knew that it was something I really wanted to do. I remember briefly getting to know the other participants during training and on the car ride but it was not until we played tele-pictionary on the first night after dinner that we really bonded. It was one of my favorite parts of the trip because the awkwardness was immediately broken. We were all crying laughing at everyone’s pictures. From that point on, friendships were being built quickly. My trip taught my not to judge a book by its cover. When I left Auburn’s campus last winter with twelve strangers I did not expect to come back with such good friends. 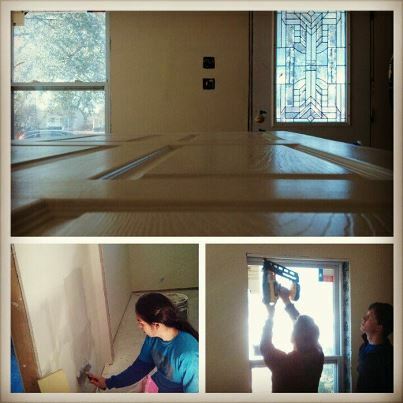 The people that drove with me eight hours to work on a house changed my life. One of my fellow participants helped me get a job as a camp counselor, which brought even more changes to my life. Another girl from my trip helped me get a job on campus for the fall. Our graduate advisor frequently keeps us updated on involvement opportunities on campus. As an out-of-state student trying to navigate a big university, ASB put people in my life that helped me narrow my path and find my place.